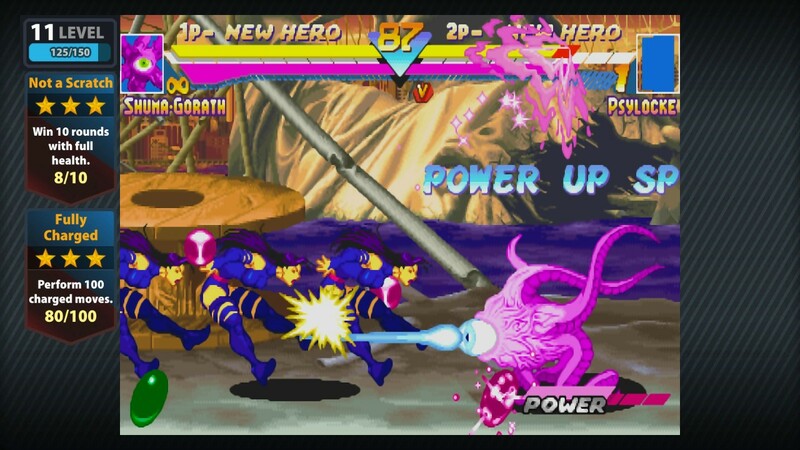 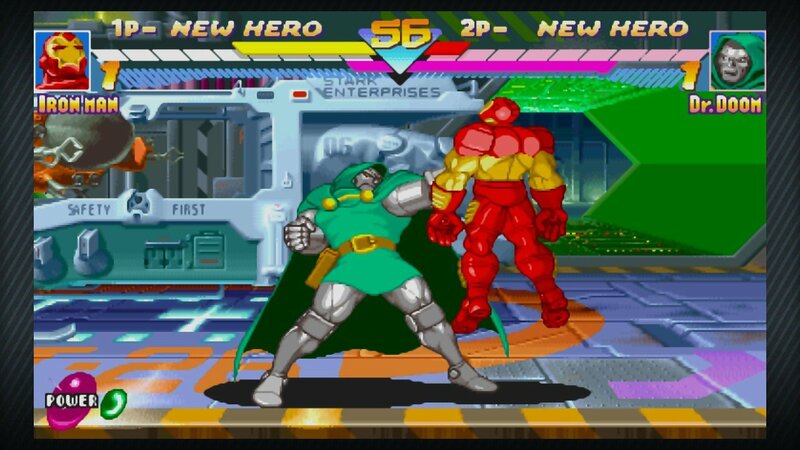 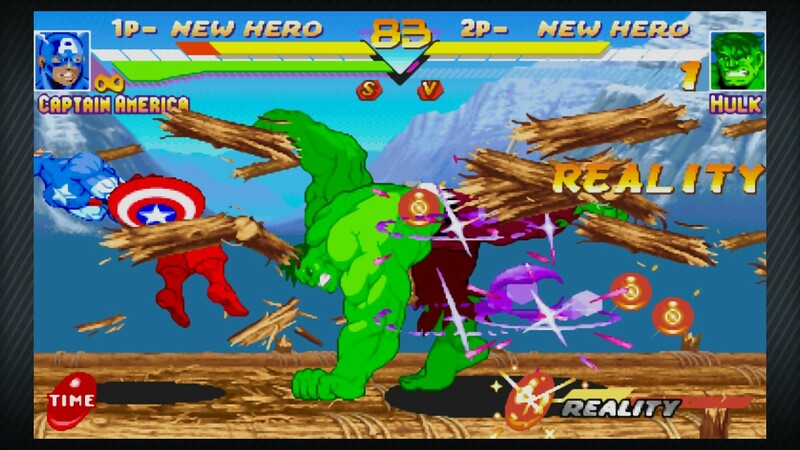 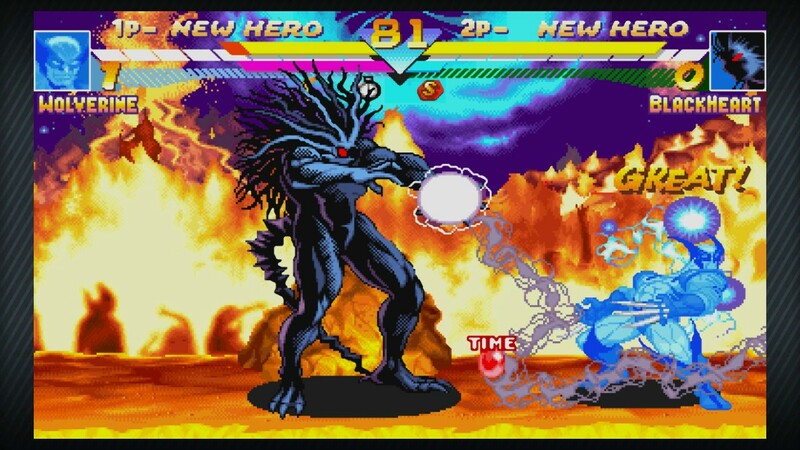 Marvel Vs. Capcom Origins is a return to the crossover fighting game series' roots. 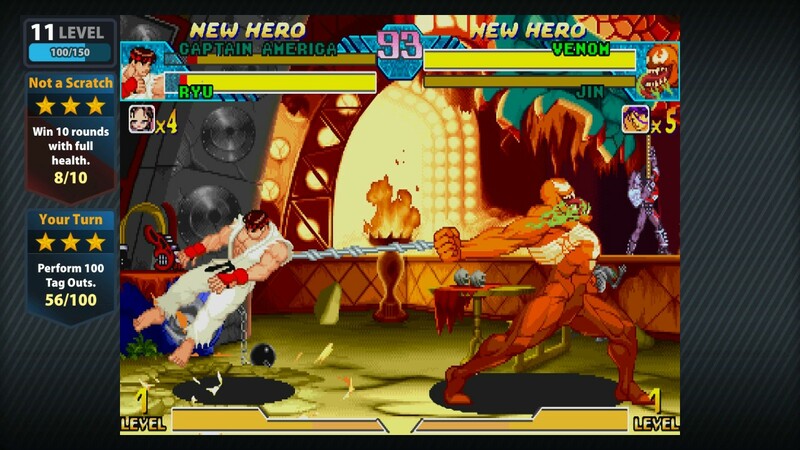 It's only fitting then that Capcom would include visual options that let you enjoy a retro-style experience. 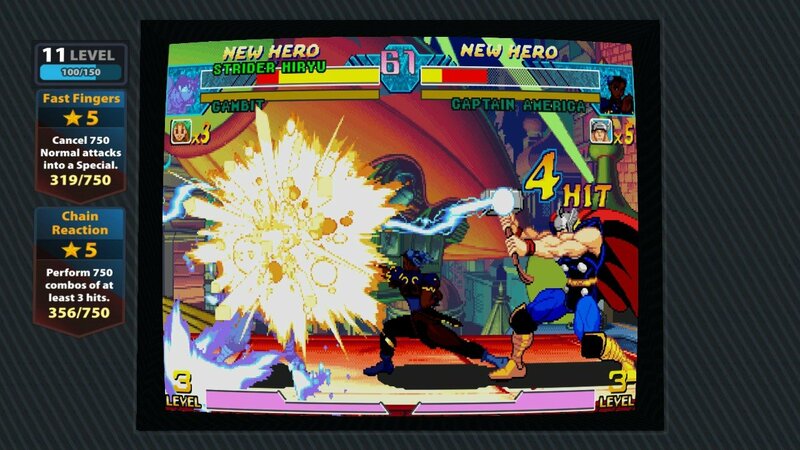 Origins combines Marvel Super Heroes and Marvel vs. Capcom: Clash of Super Heroes and refits each with HD widescreen visuals. 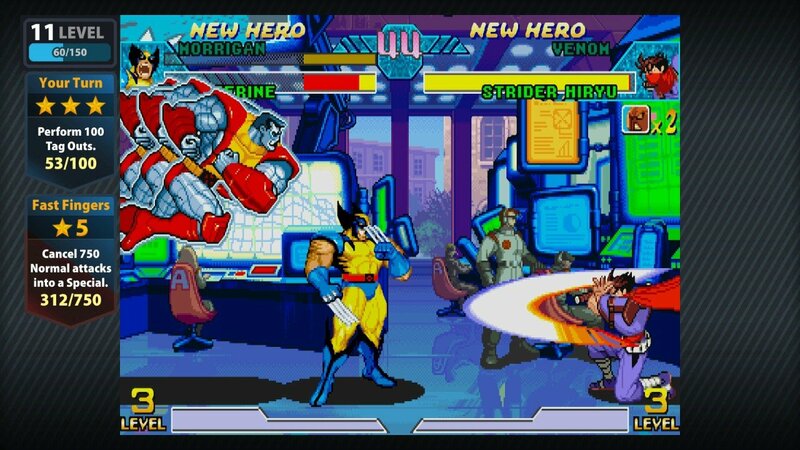 However, you can turn those visuals off and play the game in all its original, pixelated glory. 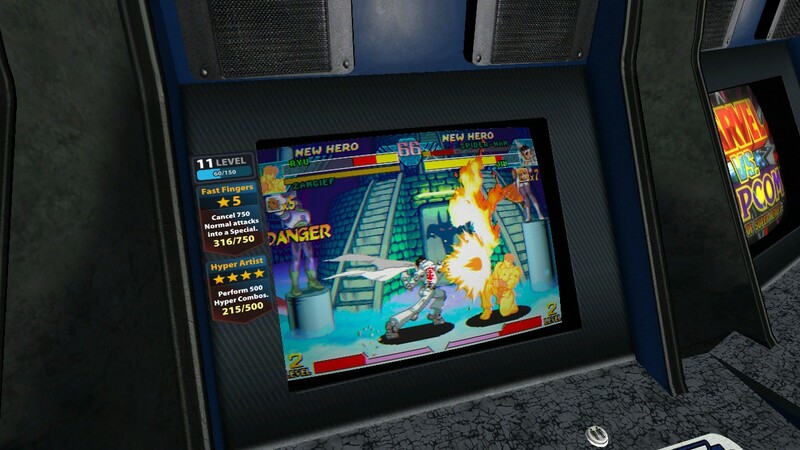 You can take it a step further and play the game in "arcade cabinet" mode, with a CGI cabinet framing the action on the screen. 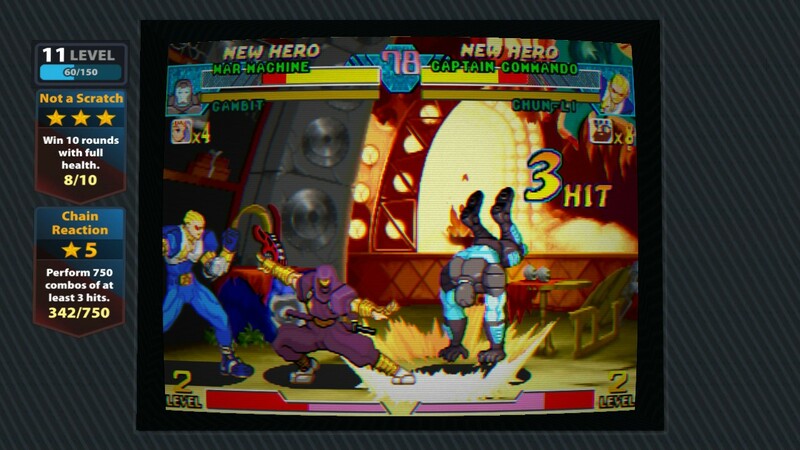 To further replicate the arcade experience, Capcom included an "over-the-shoulder" camera view. 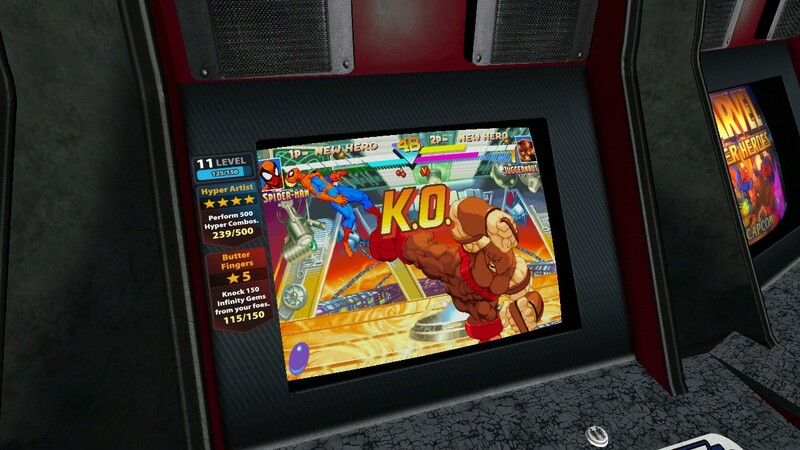 It shows the CGI arcade cabinet from an angle. 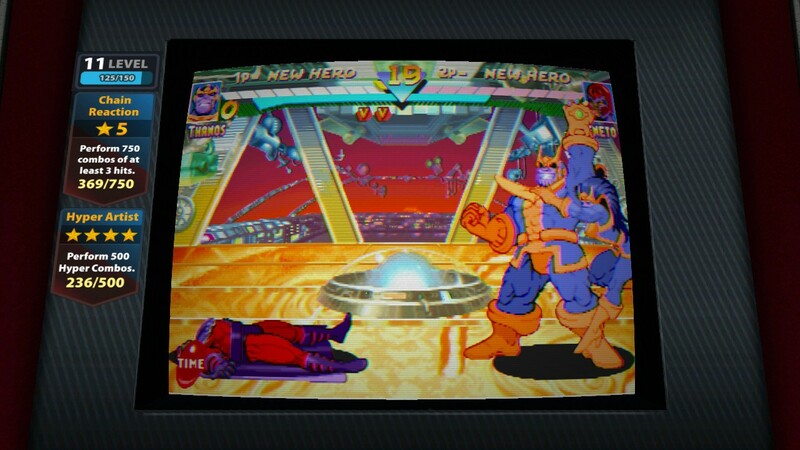 This allows someone in spectator mode to feel like they're waiting for their turn. 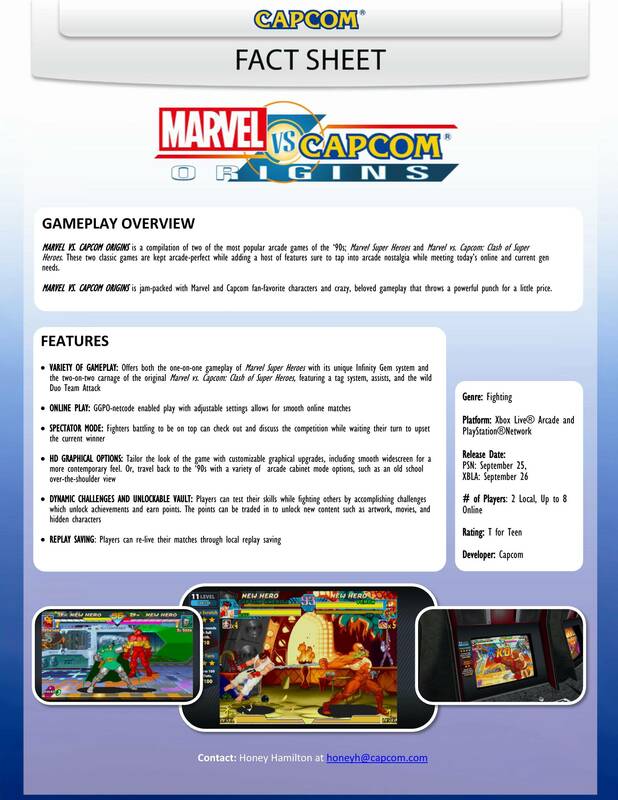 These features aren't really a concrete reason to buy the game when it comes out next month. 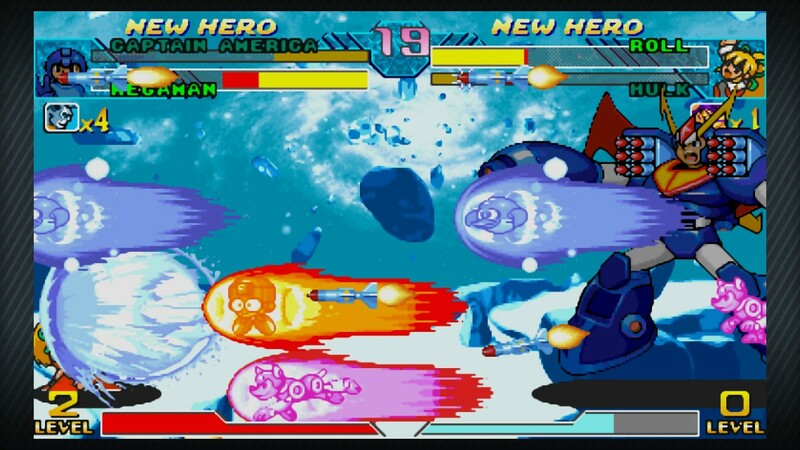 However, they do complete the nostalgic feel of this compilation and may appeal to folks who remember playing Marvel Super Heroes at Chuck E. Cheese back in the day.